We have been welcomed by the Caretakers of this sacred land, Ellen Whiteside and Jade Reese, to come once again and hold our ceremony of healing and transformation. If you come to the dance you will either be a dancer or a crew member. Typically there might be twice as many crew members as dancers. There are various roles within the crew, and these are listed further down the page. If it is your first time at this dance, then you are welcome to jump right in and dance or are welcome to be on the crew, where you can begin to understand what the dance entails. This dance is open to everyone. This is a 3-day Ceremony and Crew and Dancers are both required to be fully present from Friday noon to Sunday late afternoon. It is not possible to attend parts of the Ceremony or to come for a little portion of the time. The coordinator for the Fire Dance is Brandy Winn. Brandy can be reached on brandy.winn@gmail.com. If you would like to book your place, receive further information as it becomes available, or ask any questions please do get in touch with Robbie at Robbie@OtterDance.com. It would be wonderful to have you join us whether you choose to serve on the support crew or as a Dancer. The energy of this Ceremony is amazingly intense as we dance with 5 Fires inside of a Medicine Wheel. Dancers and crew alike will be transformed forever as the spirit of this dance moves through us and fans the fires in our hearts. This is NOT a traditional Native American Ceremony. This Dance comes from a time before the racial and religious barriers of the world existed. The Infinite Circle of the Medicine Wheel predates man and we Dance to expand beyond form, dogma, and criteria. We Dance to bring the wholeness back to the planet. 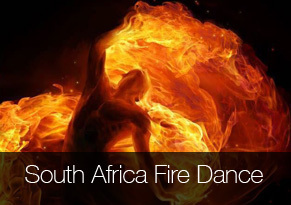 The origin of the dance, as told by Robbie Warren: “The Fire Dance was given to me in a vision while I was dancing the Women’s Web of Life Dance in 2009. The maker of the Elemental Dance Shawls, Patti McFee, had a dream that I was to dance the Fire Shawl. She brought it to me during the dance and I put it on and danced with the Grandmothers and the Fire and Spirit. I was told my life would never be the same! “I was immediately transported to the center of a different arbor. This arbor had 5 fires and I started dancing there. There were Fires in each of the 4 Directions and a Spirit Fire inside the arbor. As I danced there Spirit shared with me the Fire Dance. This Dance will ignite the passion and creativity within you to live your life fully as intended by Spirit. It will burn away the thing inside that blocks you and holds you back. The Firedance is about stepping into life fully and completely and the energy of this dance is incredibly powerful! We dance with 5 fires within a Medicine Wheel. The Spirit Keepers of the Directions are Dancing too! Spirit is Dancing in the Fire. It is tangible! If you are called and if you are ready, the Fires are waiting………..and will forever be carried in your heart as a Fire Dancer! The Fire Dance will be allocating places to sleep during the dance. Crew rooms are available by reservation (limited beds available). There is also crew camping available on the grounds. Dancers will sleep in the Dance Arbor (bring what you need for personal comfort). You will need a tent if dancing. A dance of this size takes a community to put it on. We would love to hear from you if you are able to help in any way. We are asking for help from the local community and those arriving from other countries. * Helping guests as they arrive at the airport with lifts, advice, a bed for the night etc. * Helping to prepare the arbor and land in advance of the dance. * Sharing this dance on Facebook or personally inviting others (Click “Share” on this page and then click “Invite Friends” from the drop down), who you think might be interested. Please do let Robbie or Brandy know if you are able to help in any way. To dance the donation will be between $425 – $550. We leave it for you to decide what your level of donation will be. As a dancer, you will sleep in the arbor, which you will need to bring a tent and whatever you need for your own sleeping comfort. If you are staying for nights outside these two nights there will be an additional charge. (See below). The latest you can arrive is on Friday at 10:00 am. Dancers and Crew should arrive by Thursday evening if possible though; there is work to do in setting up the space and we would love you to be with us! 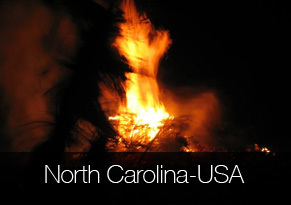 The Fire Dance has this venue from Thursday, April 18 through Monday, April 22nd. So you are welcome, actually encouraged :), to stay Thursday and the following Sunday nights if you wish. There will be an extra payment for the extra nights. 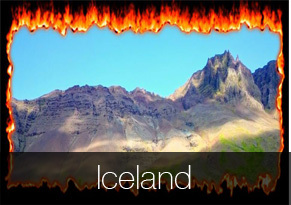 ($40 per person per night for a bed and $10 per person per night if camping). And outside of the times of the dance, we will be catering food for ourselves either individually or as a group. There will be a Sweat Lodge Ceremony held on the Thursday evening for those wishing to have prayer ceremony before the dance. Further information will be posted on this page. If you have a question, please feel free to ask it below. And then everyone can benefit from the answer too. And we can add the answer here. And please share this event! Thanks!! Robbie listens to the guidance of Spirit and the Ancestors in making the crew position requests. It is a beautiful and trusting experience. * Dance Guardians – The Dance Guardians literally guard the energy of the dance. You manage and nurture the outside energy of the dance so that the dancers can feel safe on the inside to do their work. You will rattle, sing, help the dancers settle into their space, carry dancers if needed, watch over the dancers at night, “guard” the dancers between rounds and guide the dancers if they need to leave the arbor. When the dance guardians are working well the dancers feel safe. Please bring a rattle if you can. * FireKeepers – Literally tend the individual fires in the arbor, but also hold the spirit of the fire and the energy each fire represents. * Drummers – The Drum Team drum from their heart. They also sing and keep the rhythm that “carries” the Dancers. They help with night watch too. * Kitchen Angels – The Kitchen Angels nourish and nurture the crew with their cooking and food. You will prepare food from Friday until the feast on Sunday. You will be a team and you will be at the heart of the dance. And you will basically be worshiped for the work you do! * Fire Mother – Holds the feminine space inside the Arbor and works directly with the Dancers as they process and Dance. * Fire Father – Holds the masculine space inside the Arbor and works directly with the Dancers as they process and Dance. * Wisdom Keepers – The Wisdom Keepers of the Dance sit at the edge of the arbor and hold the space of the ancient ones. They help with night watch too. * Chief – The Chief is the leader of the dance and Keeper of the Vision. They watch over everything to create a sacred space and sacred ceremony so that the dancers can do whatever work it is they came to do. All crew will be asked at various points in the dance to help watch over the dancers in breaks and at night. We welcome all who are called to Dance or to be a part of the crew. This is a life changing experience for each and every person who shows up. We take this healing and transformation back out into the world. We would love you to share this event with anyone you feel might be interested.